2019-2020 KICK-OFF MEETING – Mon. May. 20, 6:30pm, RHS Auditorium. FIELD COMMANDER TRAINING & AUDITIONS – April 15, 17 22, 24, 5:30-7:00pm. Open to all interested band members. April 25,TMEA State Concert Festival,Austin Peay State Univ. Symphonic Band & Wind Ensemble. Details coming soon! CHARMS CALENDAR SYNC – You may sync the CHARMS calendar to iPhone, Android, Blackberry, Windows phone, and to iCal. Click on Handouts & Files for sync instructions. With regret, we have had to cancel the Rev-n-Run Fundraiser. We hope to be able to have this fundraiser next year. Thank you for your interest. Get information on how to volunteer and more! Online payments for band dues, field trips, etc. Below are some simple ways of donating to the band! Use Paypal, a debit card, or a credit card to donate any amount to the band. Remember to please add special instructions into the memo section when donating to a certain fundraiser or cause. Riverdale Band when you use your Kroger Plus Card. 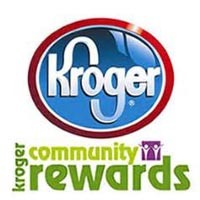 Just register your Kroger Plus Card here. If you already have an account at Kroger, go to your account and select Riverdale Band Club NPO#42262 to link your card. A percentage of each total goes directly to the band! Amazon will donate 0.5% of the price of your eligible AmazonSmile purchases to the Riverdale Band. Questions? 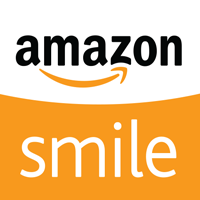 Learn more about AmazonSmile.